If you are an avid G Suite user relying on Google’s answer to Microsoft Office and Apple iWork suites, you should be aware that Google will soon increase subscription pricing tiers for the service. However, there are good reasons for this as Google’s cloud-based productivity suite has really been seeing nice changes lately and continues to evolve in features and app offerings. Unlike some competitors that are happy to stick to a tired model of releasing app updates with minor changes in features or additions, Google has greater plans. 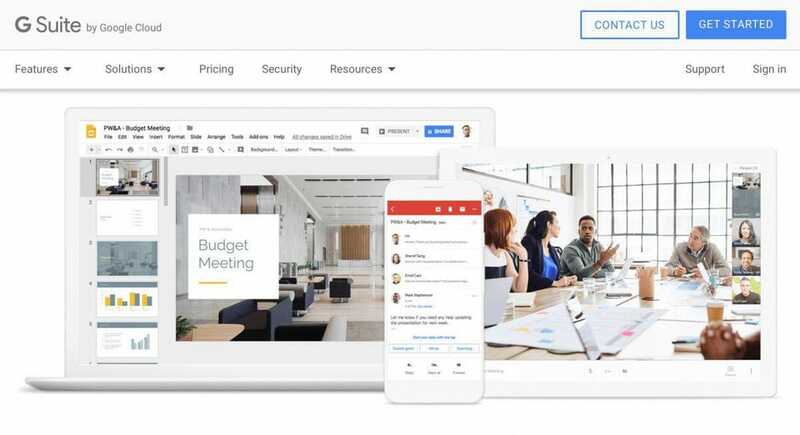 G Suite at first focused on a few core apps, such as the famous Google Docs as well as Calendar, but morphed with more apps and features over time. This will be the first price increase since the original launch of the G Suite. It also represents a shift in Google’s policy from a strong focus on search and ads (besides Android and phones), while using other services to keep users in its workflow and tied to its search engine. The price increase will give Google additional revenue and in ways is more in lined with Microsoft’s offering of Office 365. Mirosoft Office 365 pricing structure starts at $5 per month and runs up to $12.50 for annual commitment and $6-$15 for a monthly commitment. You can read more about Microsoft’s pricing models here. This means Google is pushing hard on Microsoft’s prices and it can be argued it is becoming more expensive. This is a bit at odds with the company’s former strategy and how Microsoft used to be the big guerrilla in prices of its apps that it had locked in with businesses before expanding Office to include cloud-based options and subscriptions. Google G Suite Apps Continue To Evolve And Soon Prices Are Set To Rise.